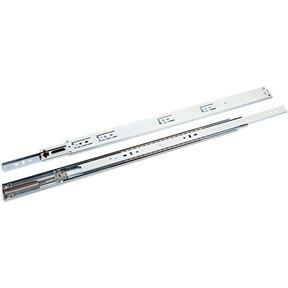 These precision ball bearing drawer slides are for medium-duty applications in office and residential furniture. Drawer profile features an easy-to-operate disconnect finger release trigger and System 32 compatible hole locations. Drawer slide is non-handed and has a hold close detent. Comes equipped with a self-closing device. Bought for project and was satisfied, and will buy more in the future.